Hello everyone! Last week we spoke to you about transporting our avian friends to the vet, now we are following on with small mammals! We are lucky that we get to see a lot of these cuties in the clinic! There are a number of different ways to transport your guinea pig, rat or mouse to us, but there are a few important things to consider for their safety and comfort. These little piggies look pretty comfy in their setup with soft bedding and plenty of tasty snacks for the trip home! 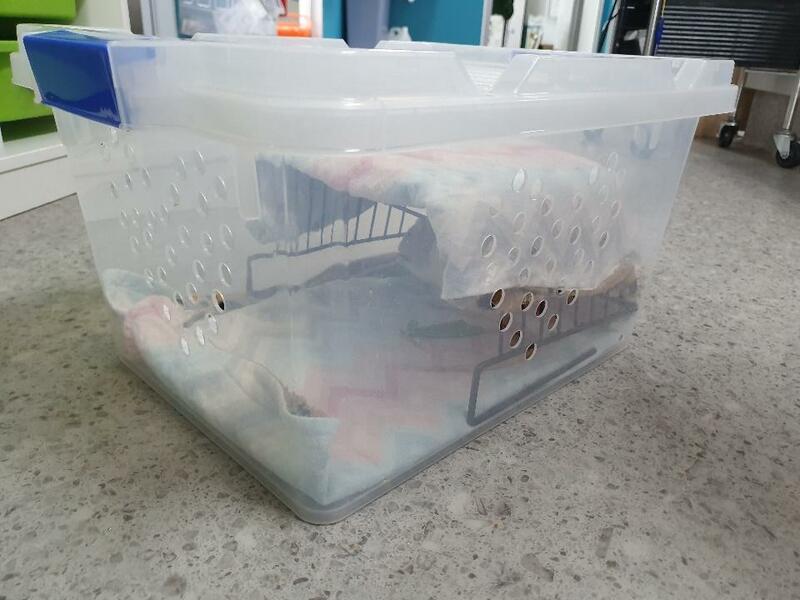 This box is specially made for rats and is complete with soft bedding, a hide and ventilation. 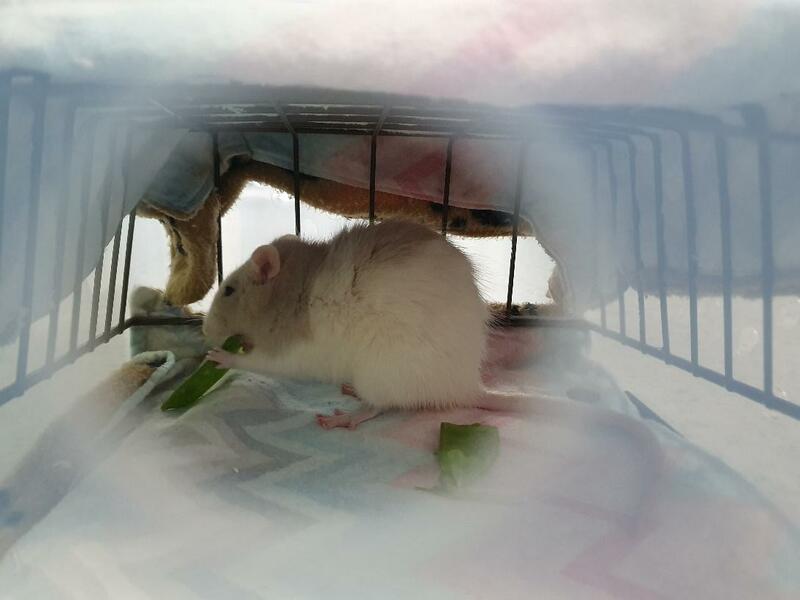 Sushi is always happy when there are snowpeas to munch on! 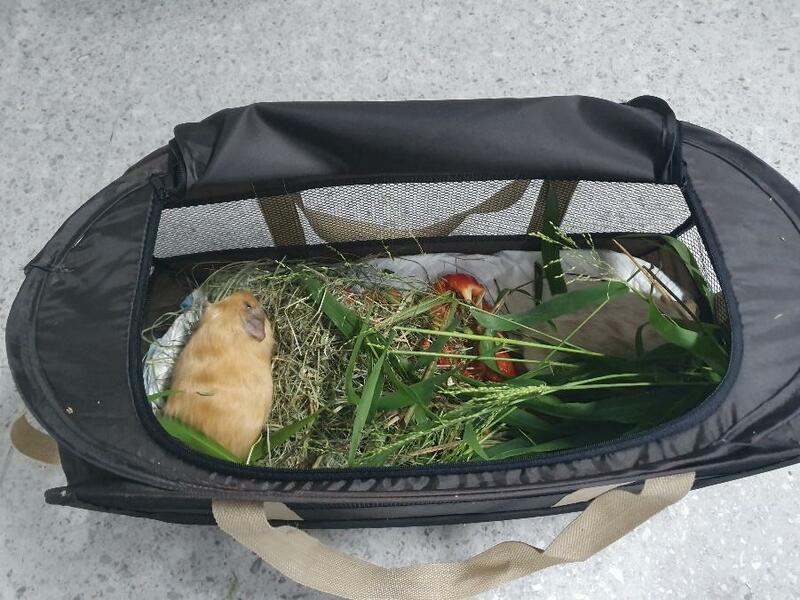 All animals should be secure in their carrier, and not able to jump out to investigate the car or waiting room. This is particularly important for mice, who are capable of squeezing through very small spaces! Don’t forget that sometimes even guinea pigs decide they can jump! So an open box with short sides is not ideal. As these animals are all prey species, it is also important they feel safe and not stressed during their trip. So carriers should contain places to hide, or be covered with a towel to make them dark. It is helpful not to use solid hides with only one small entrance/exit point, as some creatures can be difficult to extract from here to examine in consult. A lot of small mammals naturally live in social groups and feel more comfortable if their companion accompanies them to the vet for moral support! Small mammals also eat very frequently, so ensuring they have some snacks for the car trip is a good idea, and also gives them something to keep them occupied. These requirements can be met with commercial plastic carriers designed for small mammals, but also cat carriers and plastic tubs (with appropriate ventilation) can be used. Check out the pictures below for some examples and feel free to ask any questions about transporting your pet when you book your appointment on 07 3217 3533.